Following Edmonton's third straight loss on Tuesday, the team took action in a major way by firing GM and President of Hockey Operations Peter Chiarelli. 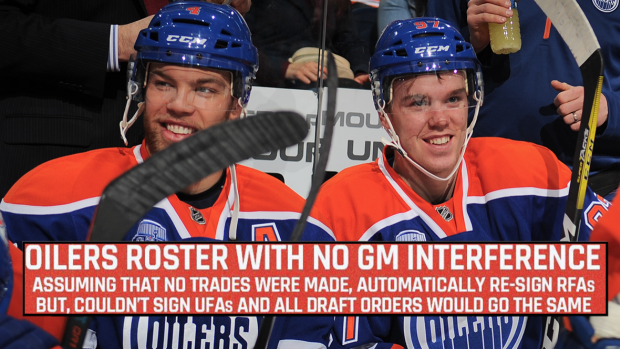 Now that he's out as the man making the decisions in Edmonton, it's the perfect time to look back on what could have been because that's what most Oilers fans have been thinking about since the first moves were made. The roster looks very different than how it looks now, and different in a good way, especially up front. The back end and goaltending isn't the strongest, but there are other moves that were made in which you could make an argument to swap players like Justin Schultz or Anders Nilsson in. I feel bad for @EdmontonOilers fans. We imagine it's tough for Oilers fans to look back on what could have been, but the focus now needs to be on the future and with Connor McDavid locked up, the future obviously has a lot of potential to be bright.